The original school building is Victorian, dating from the 1870s and is set in a tree-lined lane near to Holy Trinity Church. 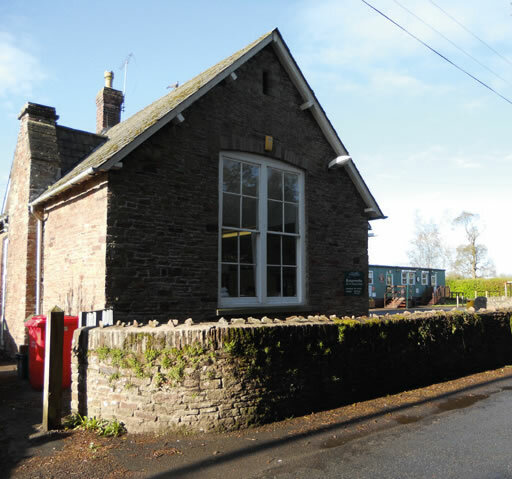 The school buildings have been extended and modernised over the years to accommodate the children’s needs and provide a lovely learning environment. Class 3 is accommodated in an Elliott building. We have 3 classes, all in spacious accommodation. Each classroom is bright and well-resourced with up to date equipment. Class 1 has access to a covered outdoor classroom and resources. All classrooms have interactive whiteboards, a bank of computers and we also have a set of ‘learnpads’ which allow the children to use ICT across the curriculum. A mobile laptop trolley is also being used to enhance the technology us within the school. The school also has a new hall and kitchen which were opened in 2014. These provide an excellent facility and the hall is used for dinners, whole school assemblies, P.E. and school productions. A lovely recent addition to our school is our Reflection Garden which is planted with fragrant plants, has a water fountain and provides seating for children. For larger sporting events, the children also have access to the nearby recreation field.